How well the advice from the story of Supercell apply in the management and day-to-day life of a startup? The spring 2014 edition of Aalto Leaders’ Insight featured the success story of Supercell, when the gaming company’s net worth had rocketed from zero to EUR 3 billion in a matter of three years. The article on what the startup scene can learn from Supercells success was written by Juhani Mykkänen, who was a creative entrepreneur and journalist at the time. Three years ago he joined forces with five other young guys to jointly establish food delivery app Wolt. How well does the advice from the story of Supercell apply now that he has gained his own experience in the management and day-to-day life of a startup? Soon after the article had been published, Mykkänen joined forces with five other young guys to jointly establish food delivery app Wolt. How well does the advice from the story of Supercell apply now that he has gained his own experience in the management and day-to-day life of a startup? Also in Wolts case, a really experienced product team helped, especially as we were all under thirty years old. Our guys had been involved in branding, digital design, and back end systems in different startups. For instance, at best, the Labyrinth game invented by one of Wolts co-founders, Elias Pietilä, featured on one in ten iPhones around the world. He knew right from the start: we should have these buttons, not these views, thats too complicated. Often startups dont know what they should be doing because everything is still under creation. Wolts idea in a nutshell was a food order app. We had no experience or operational skills in the area. Now that Riku Mäkelä, former managing director at Slush, has taken charge of the operational side, you really see the importance of experience. Our growth targets are set so high that weve come to realize we can no longer figure it all out as we go. Riku has worked in the best consultancy firms in the world, and has a mind-blowing ability to stare at a 250,000-row spreadsheet and see where we need to be seeking extra revenue or productivity. You simply cant do that without years of experience doing the same at the most exacting level. Often startups dont know what they should be doing because everything is still under creation – but experience can at least tell you what you shouldnt be doing. We wouldnt manage without hiring the smartest people. Im in the middle of putting together a guide for employees on our intranet, and taken a look at the recruitment policies of well-known startups, such as the legendary culture deck of Netflix, which sums up its corporate culture. It highlights the importance of recruitment like crazy. Netflix wants each employee to outsmart the company average. The threshold is raised instead of lowered the more business grows. A few years down the line, managers should be getting a feeling they would no longer be hired, as they wouldnt meet the mark. The handbook of game company Valve states that recruitment is more important than breathing. According to these manuals, a huge amount of time needs to be spent on recruiting, as the more you reap, the more you sow. Finding the right people is crucial. A year ago, we hit a rough spot and were short of cash. We put in measures like cutting one month of the co-founders pay. Wed been spending more than was coming in. Of course this is a usual story for any startup investing in growth. Startups develop and fail on the market: you create, fail, improve, learn. Its part of the business. 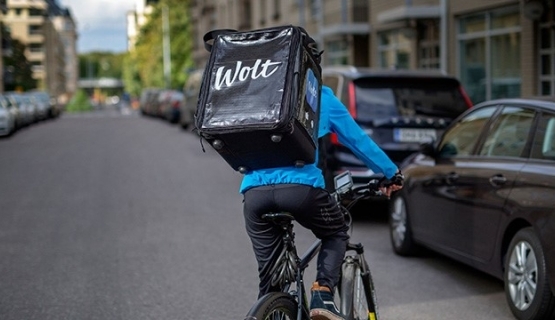 Had we not launched the food delivery service a few months earlier, Wolt wouldnt even exist. We began with a takeaway service. We figured home delivery would be so much hard work that we should look into it later, until it turned out that home delivery was the key to our success. Failing in itself isnt important for success. The way I see it is that never failing means you havent moved fast enough and tried enough things. Big firms have lengthy product development processes. Startups develop and fail on the market: you create, fail, improve, learn. Its part of the business. Knowing what youre doing all the time means you learn nothing. The average person probably thinks its the idea that counts for a startup. Thats not the case. Its down to timing. If you look at successful startups in five areas – timing, execution, funding, team, idea – you notice again and again that timing is the most crucial. Facebook, Angry Birds, Supercell. They all had great timing. So instead of necessarily doing something thats never been done before, do it better and at the right time. Timing comes first, then the team. Execution is third – the way you do it. Then comes the idea, and fifthly, funding. Wolts timing was about 8.5 on a scale of one to ten. The first prototype was launched at Slush in 2014. We felt it was the right time, but it wasnt quite. It was a bit frustrating going to Stockholm and seeing how someone was doing better with a worse product but with good financial backing. Their timing was better. If we launched our product in virgin cities, we would most probably be well, really big. This is the biggest lesson of all, the holy grail: finding something people are willing to pay for. 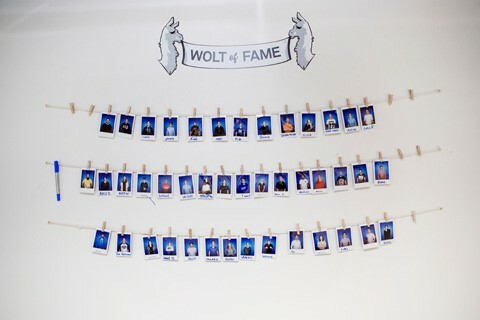 Its where most startups fail, as was nearly the case for Wolt as well. If we hadnt started the home deliveries, Id be here explaining what a great team and execution we had, but hadnt found what enough people were willing to pay for. Now Wolts initial idea, the takeaway service, is considerably smaller than home deliveries. It wasnt a big enough case. The whole operation was set up in a couple of days, and it hadnt crossed our minds that we couldnt agree directly with our couriers how much they get paid. Adding home deliveries to the mix was a big change for the company. We had a damn serious discussion: home deliveries would also make us a logistics company. Is that where my strengths lie? No, digital is my thing. I kept thinking how soon wed have dozens or hundreds of couriers taking to the streets, who would have to park their cars all over the place. No one at Wolt knew how to run that kind of show. I went to Nevadas Burning Man Festival for two weeks, and when I came back, the home delivery service had been set up. We first collaborated with another company, who pretty soon realized they werent cut out for it. We were like no way, just what we feared. Shortly afterwards, three of the guys who had worked in that firm came to see us, wanting to work together. We took them on and told them to get it running. These three guys were what it took to get the service up in that timeframe. 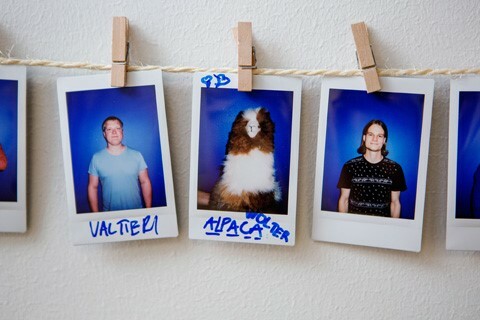 Tony Honkanen, Matias Nordström, and Janiv David are Finns who have studied business in Estonia, and real go-getters. They worked incredibly hard all fall, and recruited just about all their friends as couriers. In just a few weeks, we had an operation involving dozens of couriers. It wasnt all plain sailing. In November 2015, newspaper Helsingin Sanomat interviewed two of our couriers who were unhappy with their pay. The headline highlighted Wolts salary issues, and the article reported how Wolt had failed to pay Sunday extras and social and pension insurance contributions. We were like, whoops, we havent paid Sunday extras! The whole operation was set up in a couple of days, and it hadnt crossed our minds that we couldnt agree directly with our couriers how much they get paid. Id swap this for convince investors with your team, not your idea. Investors initially put their money on the team. The team remains even if all else changes. In Wolts case, investors had varying degrees of faith in the original idea, but totally believed in the team. An idea is valuable only after theres a team to execute it. We have the same philosophy as Supercell. Permanent employees are given options. A business isnt a nine to five deal, and we dont have the space for people to just come in and work. We expect people to be passionate about what they do, so it needs to feel rewarding to them. You earn a share of the company. If the companys value goes up, you need to benefit. Its exciting to know that the ultimate payday may be coming, if you succeed. We now employ 60 people, and hopefully will be recruiting a couple hundred more. Only the founders having ownership cannot be the way it goes. Joining a startup means building something new, not just becoming part of an established regime. Your efforts having an impact on the company is motivating. Its exciting to know that the ultimate payday may be coming, if you succeed. Its possible, but cant be taken for granted. Id like to add a new piece of advice for the list. When a startup becomes a real company, theres a huge temptation to start planning processes and policies, as otherwise things seem chaotic. Whether you build a company with policies and everything is clear, or you create a Netflix or Valve type world without heavy processes is the choice you make. As a company, we are increasingly heading towards a process, which I found difficult to accept at first. My dream was always to build a company where things magically happen without six different policies outlined on the intranet. But Ive come to see how it makes things easy for people when you dont have to keep inventing yourself all the time. The mainstay of Wolt in future years is to enter new cities and do the same things a hundred times. This requires processes in a totally different way than in a super creative game company centering around a small team. In my view, a startup is a young company that aims for strong growth, which is in search of a scalable business model. It really is still searching. It wont be a startup forever after finding a business model. When a startup begins to figure out why it exists, what it does, and what works, it also needs to start verbalizing its own process – becoming more like an ordinary company. There is no such thing as an extremely successful startup, as according to the definition, its no longer a startup. Wolt is a food delivery app. 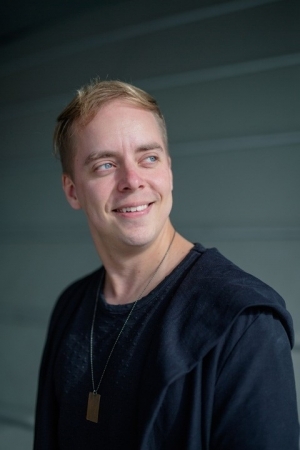 The apps perhaps best-known co-owner and founder is Miki Kuusi, the man behind startup event Slush. Wolt currently employs 60 people and 600 food couriers. 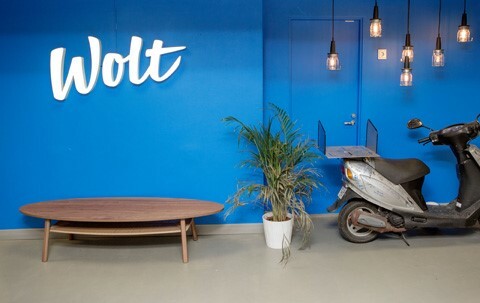 Wired magazine has listed Wolt as one of Europes hottest startups. In April 2016, the company raised EUR 10 million to expand into Stockholm and Tallinn, and other Nordic and Baltic cities are on the horizon. Juhani Mykkänen, when did you begin to believe in Wolt? I ordered some Vietnamese rolls from restaurant Rulla in the gym changing room. I returned home, and bumped into the courier behind my door. I placed the rolls on a white plate and it looked damn good. I took a photo and sent it to our founder telling him to take a look, 25 minutes ago Id pressed a button on my phone, and now I have the perfect meal under my nose for something like 15 euros.